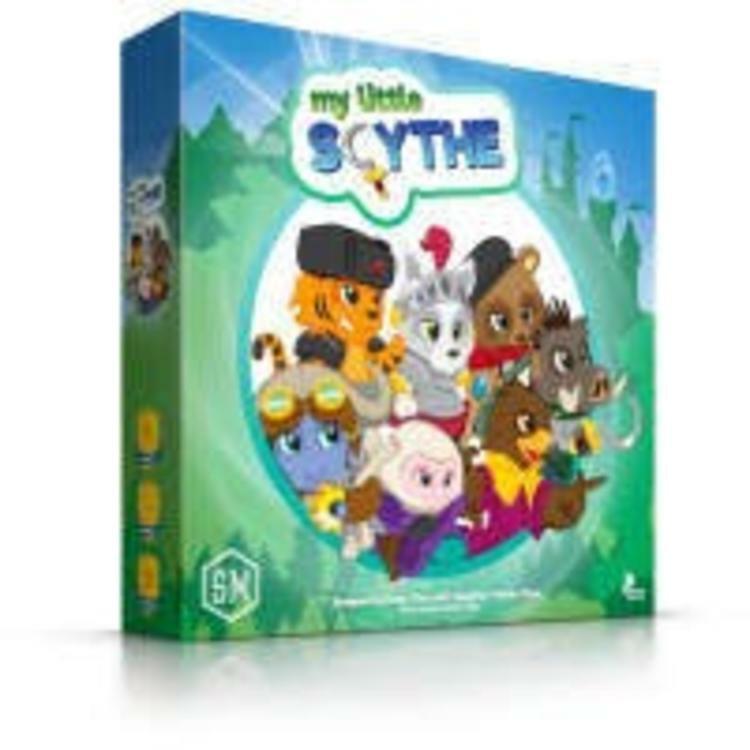 My Little Scythe is a competitive, family-friendly game in which each player controls two animal miniatures embarking upon an adventure in the Kingdom of Pomme. In an effort to be the first to earn four trophies from eight possible categories, players take turns choosing to Move, Seek, or Make. These actions will allow players to increase their friendship and pies, power up their actions, complete quests, learn magic spells, deliver gems and apples to Castle Everfree, and perhaps even engage in a pie fight.